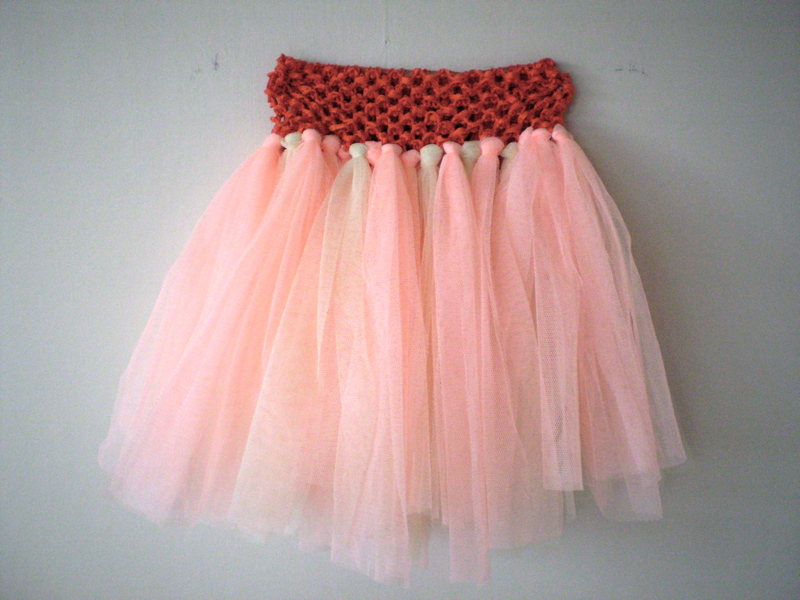 Tutu’s for your little princess don’t have to be expensive or even difficult to make. 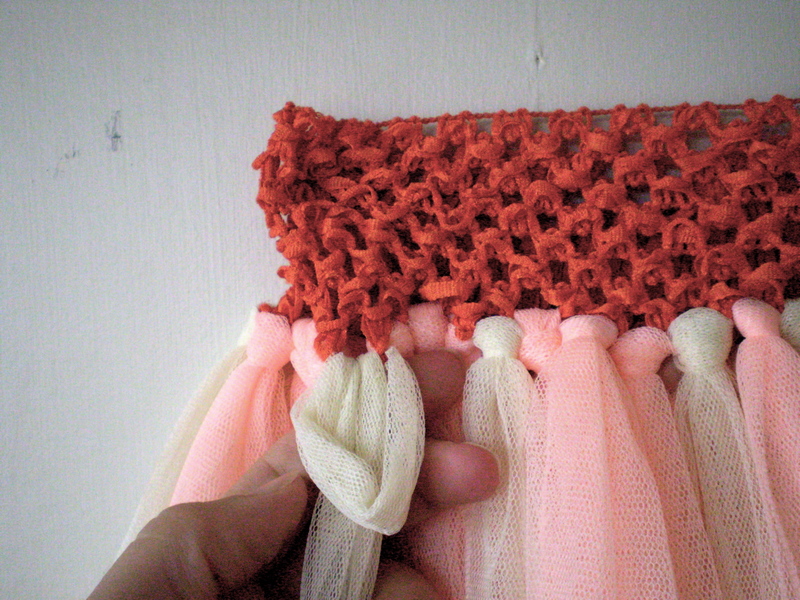 This no-sew tutorial will have her twirling and dancing in no time at all. This easily fits both my almost four year old and two year old alike. Being super stretchy, it’ll get a lot more wear yet before it’s outgrown. Sadly, though, it IS too small for me 😦 Yes, I tried. Simply cut your tulle into a gazillion strips measuring 50cm x 12cm. Rough enough is good enough here. Your perfectionist side can take a break for the time being. 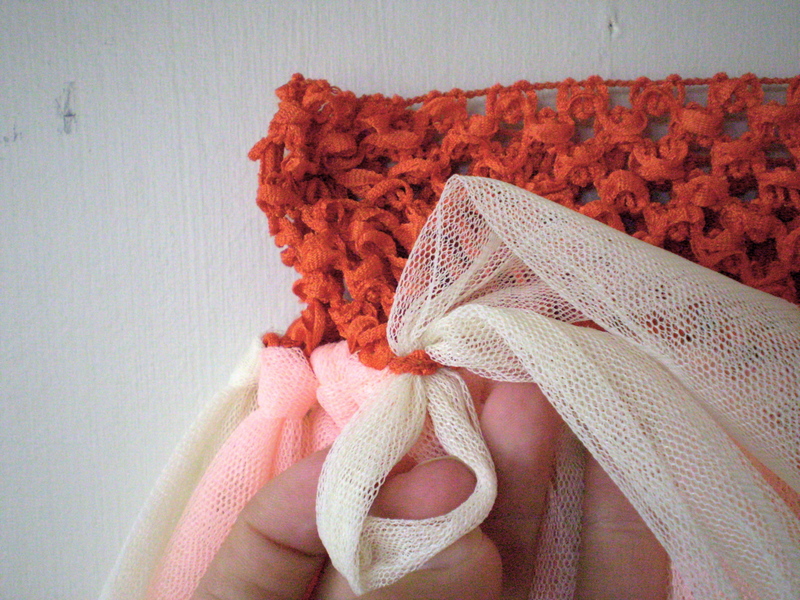 Fold a strip in half and, choosing a hole in the lower portion of the headband, thread it through the hole from front to back (loop first, facing downwards). 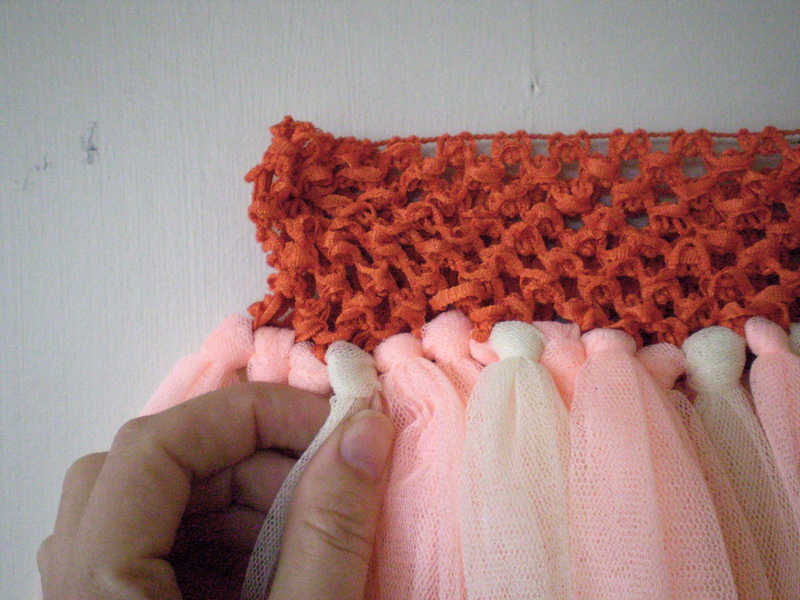 Pull the remaining length down through the loop and tighten so that it’s now fastened onto the headband. Continue all the way around with the remaining tulle. 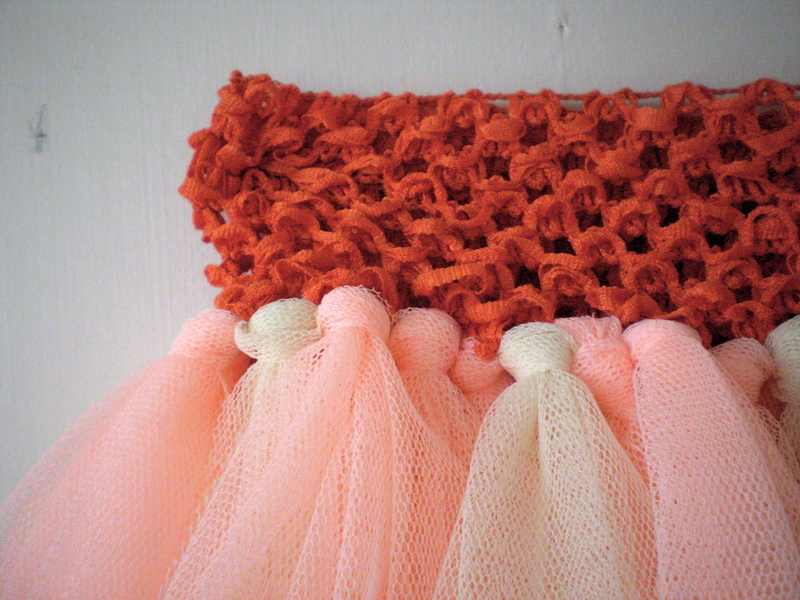 The more tulle you use, the more full the skirt will be. I looped some excess tulle into holes a little farther up the headband so don’t be afraid to claim more territory there if you need it. Ah, if Carrie Bradshaw can do it, then Miriam sure can! Have you seen the episode when she wears one? Oh that is SO cute! I love it! Even I (the creatively challenged one) could do that!! This is so cute! I bet little girls could wear one of these each day. Heather made a white one for Brookie last Halloween and she was the Tooth Fairy. Fun, Fun, Fun!!! Oh how cute! That sounds adorable. That sounds real cute though! This is killing me, such a mega cute idea! 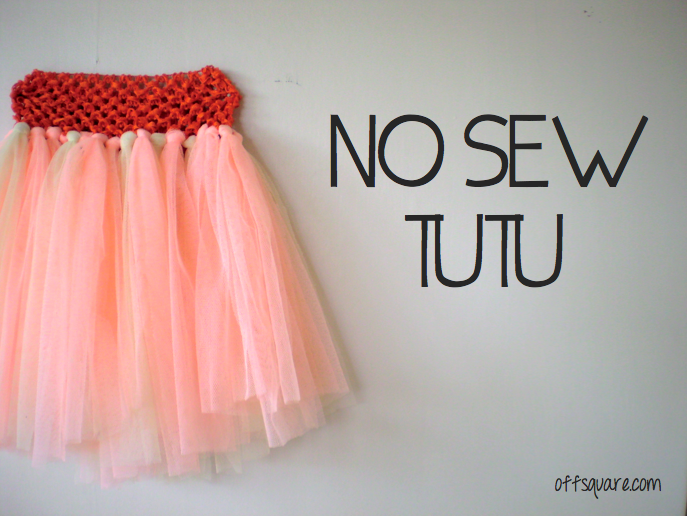 I hope a friend of mine has a dress up party soon, I’d totally bust out this tutu! Because I don’t have money to spend on a lavish outfit and I can’t sew, so this is perfect! Now to wait for that dress up party to happen …. This is so cute! I like the little knots just under the headband. I guess a few headbands can be connected to make an adult version. You definitely could. Two may be enough for an adult perhaps.